Dig deep into the world of cultural esoterica and you’re bound to find someone who’s dug there before. That’s particularly true of the cults of California and the mysticism of the global online, where Erik Davis has long laid claim. Cali-born and raised, the self-proclaimed “participant anthropologist” has been exploring the world of the weird since the 90s, in the process becoming a cult idol himself. Respected by many, virtually unknown by most, Davis is a journalist, academic and writer whose ‘multiperspectival’ mind generated The Visionary State and Techgnosis: Myth, Magic and Mysticism in the Age of Information. One, a coffee table book of essays and photos documenting the subcultures and belief systems rife in the west coast region where he still lives. The other, a classic media studies text, published in 1998 and evolved into a much-referenced, oft-updated website, techgnosis.com, investigating media, information transfer and conceptual engineering from a standpoint of universal human obsession. Davis’ early days in music journalism ran from rock with Village Voice, Spin and The Rolling Stone in the early 90s, through to the miscellaneous arts explored in now-defunct cyberculture magazine, Mondo 2000 and Wired. 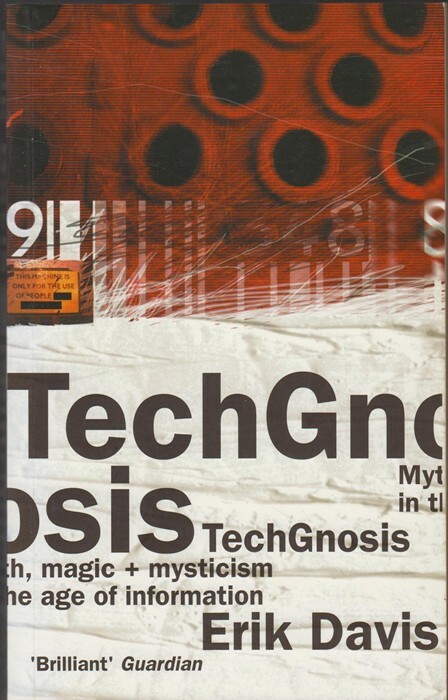 It was in an article in the latter that he became one of the first to link techno music to a kind of neo-tribal ritualism, a transfer of the “imaginative interfaces” of Pagan mysticism to the, as yet, still niche networks of the digital world, in ‘TechnoPagans: May the astral plane be reborn in cyberspace’ in 1995. He’s since expanded on that into rave-as-mass-ritual, uncovering the psychedelic trance (now known as ‘psy-trance’) in Goa, India, as early as the 90s, where Genesis P Orridge of Throbbing Gristle and Psychic TV described it as “facilitator of devotional experience” to Ibiza’s “horny disco”. To these ears, Davis may as well be talking about 2013. As both pioneer and propagator of a certain ‘cyber-idealism’, his recollections of a stoner youth in ‘Teen Head’, where he claims “altering perception alters the claims reality makes on you”, echoes a similar drive in contemporary net art. Here, opaque virtual identities disrupt and reclaim their autonomy in view of Facebook profiling, data collection and Google algorithms in the equally nebulous realms of #selfie art, Twitter performance and JunkSpace resistance. Coining terms like “mythinformation” and “cyberdelia”, Davis identified the computer as a tool of transgression long before the web was in widespread use; a kind of technoutopianism that still resonates today within the anarchic ideology of Anonymous Group, paranormal mediations of hauntology, even the distantly-related digito-mysticism of seapunk and vaporwave. As an authority on obscure practices and beliefs too often disregarded as natural quirks, rather than the expressions of a greater human need for understanding they are, Davis was raised in a “liberal university surfer town” of San Diego County. He was lucky enough to be part of what he calls the “ambient spiritual weirdness” of a largely counter-cultural environment of the 80s, the San Francisco-based writer growing up in a milieu of hippy flee markets and Hare Krishna temples. It was a time and place still rooted in the aftershock of the 60s social revolution, and his broad interest in everything from Hindusim to cosmology, psychedelia, alien contactees and even a drive to exposing the pernicious psychobabble of Scientology, reflect that. 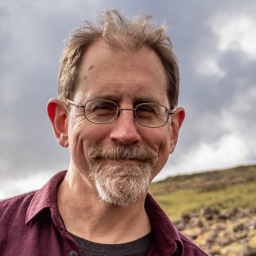 Although Davis deigns to make a direct connection between California –as home to contemporary Transhumanism, the Human Potential Movement and, of course, Sillicon Valley –there’s something to be said for the fact that the original source and contemporary resurgence of this sort of neo-Paganism is generally centered around it. Because, beyond the utopian desert raves and Grateful Deads of the past, to the Secret Circuits and Holly Herndons of the present, Davis says “there’s a little bit of the New Age in all of us online. In the sense that you’re comfortable with sharing connections through the mind, or through this sort of digital virtual reality, rather than physical reality. There’s something uncanny about how digital information works and that’s related to some of the ‘mediated mysticism’ that you associate with the New Age in California,” he says, adding that it’s no accident that some of the first major non-academic online communities –in fact, arguably the most major one, The WELL, (The Whole Earth ‘Lectronic Link), established as a dial-up bulletin board system in February 1985 –is a centrally Californian construction, even if people around the world took part in it. “But the fact that the first node of the internet was laid between Palo Alto and Los Angeles is not related to this. It doesn’t mean that the Internet is New Age, but there’s a sense for the engineered possibility of human consciousness; a kind of restless desire for novelty and new social possibilities that we can see in new technologies, as well as these spiritual, freaky, subcultures”.